Scotland Yard’s Murder Squad faces the most shocking case of its existence, in the extraordinary new historical thriller from the author of the acclaimed national bestseller The Yard. 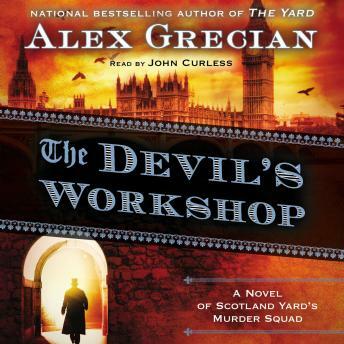 London, 1890: Four vicious murderers have escaped from prison, part of a plan gone terribly wrong, and now it is up to Walter Day, Nevil Hammersmith, and the rest of Scotland Yard’s Murder Squad to hunt down the convicts before the men can resume their bloody spree. But they might already be too late. The killers have retribution in mind, and one of them is heading straight toward a member of the Murder Squad—and his family. And that isn’t even the worst of it. During the escape, the killers have stumbled upon the location of another notorious murderer, one thought gone for good but now prepared to join forces with them. Jack the Ripper is loose in London once more.